One week of hectic Bangkok was enough for us to escape to the East side of Thai islands. Unlike our first time on Koh Samui, Phangan and Tao, we had a special goal this time. To get fit in Samahita retreat on Samui, with cycling and yoga. We spent 5 days sweating, eating healthy food and relaxing in our cool 2-floor loft. Getting fit for the beginning of our travels. All flexible and with brand new muscles we spent a few extra days exploring the beautiful island on our motorbike. Samui is the only island with an airport, which results in a high number of tourists. Mostly Chinese. Groups of Chinese families, from grandparents to grandchildren, are moved by tour guides, from Big Buddha, to rocks shaped as private organs, from mummified monk monastery, to waterfalls and in the end they go to a safari with elephants. Samui is a big island and has a lot to offer. 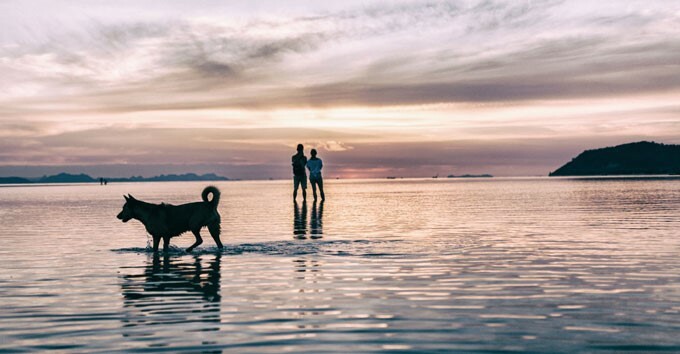 Our time on Samui was spent by blissfully careless rides around the island, not really sightseeing but catching glimpses of local life and ice-creamed colored sunsets, testing the limit of our cameras.